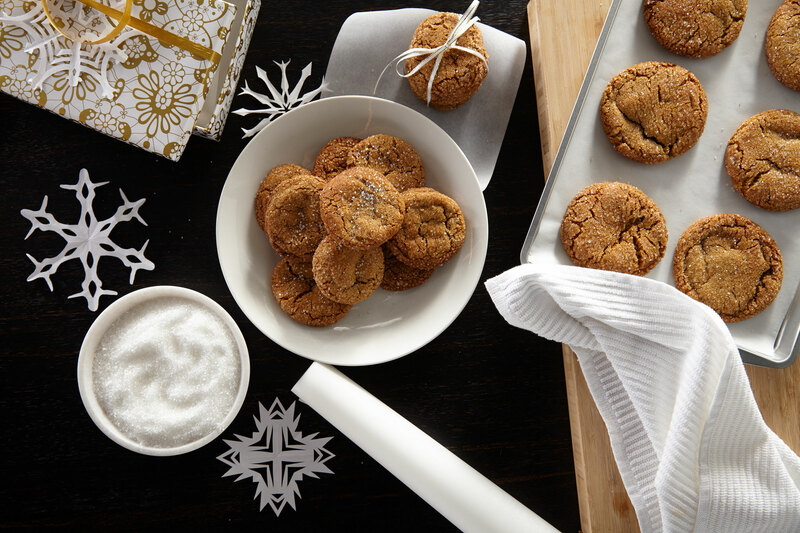 Perfect for dessert exchanges, a snack for Santa, or for cookie monsters of all ages, everyone will love this simple recipe for molasses sugar cookies. Cream butter and sugars. Add molasses and egg; combine. Sift dry ingredients; combine with wet ingredients. Roll dough into 1 1/2″ balls, dip in sugar and bake on a parchment-lined cookie sheet for 8 to 10 minutes.